Probably the most common question I get asked by people I first meet is, "Do you follow a strict diet?" Followed by "So you eat rice?" As many of you athletes know, proper nutrition plays a key role in sports performance. But you've also probably experienced that with the amount of training required to be fit for triathlon and endurance sports, we can get away with eating huge amounts of calories and junk foods, without gaining a single pound. This is not true for me on off-season. I can easily pack on 5kgs in a week of December parties and reunions. That said, being lean doesn't necessarily mean being healthy and that your body is getting the right fuel it needs. I try to have a good balance in my diet - eating mostly meals I prepare myself using fresh ingredients, and staying away from overly-processed goods. But I also don't believe in depriving oneself. Life's too short! So I do indulge in chocolates, beer, wine, pizza and all that, but I try to schedule it after the longer workouts in the week, like long rides and runs. This is the time when the body actually needs some extra calories. For me, the most difficult part of maintaining a healthy diet is warding off cravings for sweets and junk when you're tired or hungry... or both (Lethal combination! Steer clear of my path)! It's much easier to pop in a convenience store or fast food place than to prepare a meal yourself. And in many areas, it's not any easy task to find a place that serves healthy and yummy dishes that aren't overpriced and undersized. 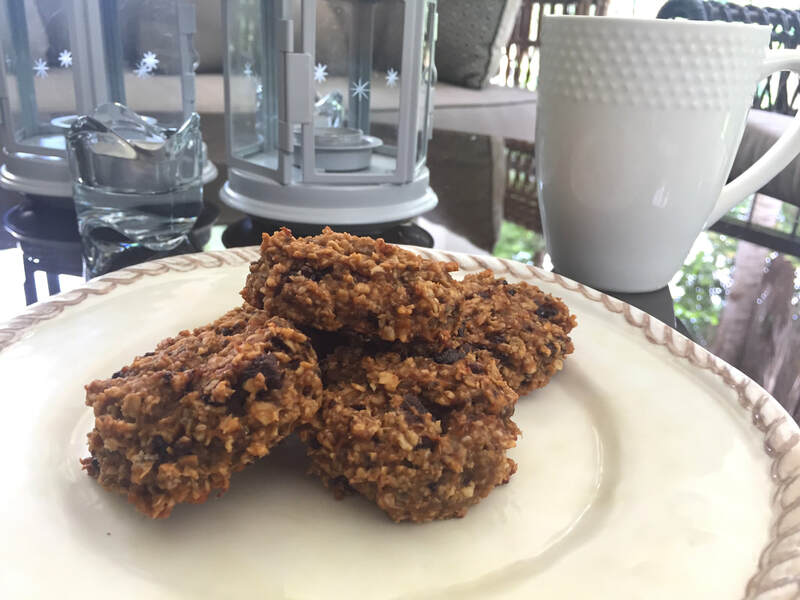 So here's one of my favorite healthy cookie recipes that's perfect for a quick breakfast, and a pre or post-workout snack. Sometimes I even take one or two pieces in my back pocket for long rides. It's super easy, oil-free, flourless, egg-free, with no added sugar, and can even be made gluten-free. I don't know about you guys, but I love a snack! And I definitely have one before every workout. 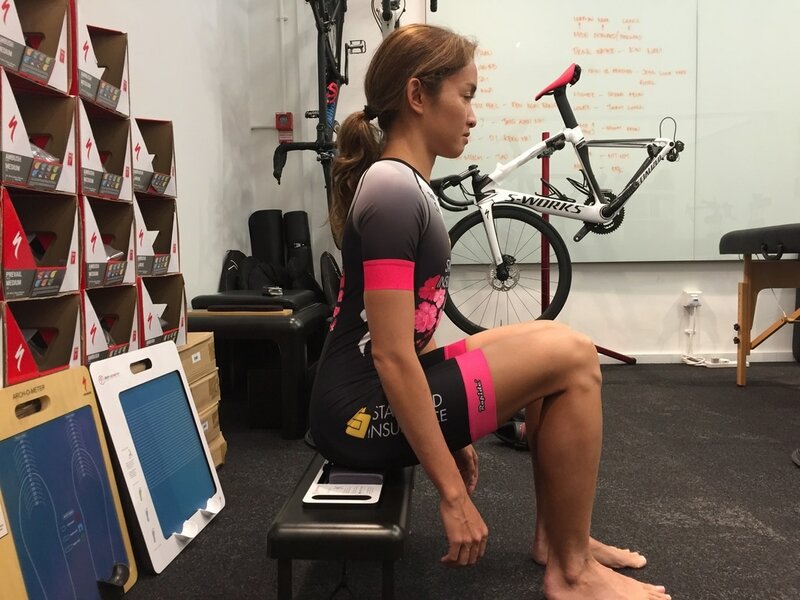 A bike fit is a great tool for cyclists of all levels to maximize their potential on the bike. 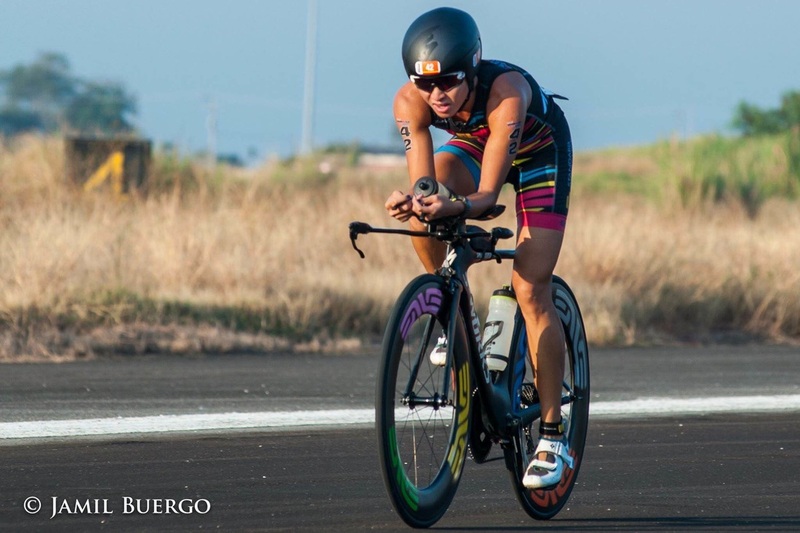 New triathletes will especially benefit from a bike fit, as the tri bike has so many things going on. Apart from the usual adjustments on saddle height, fore aft position, cleat placement; the front end needs a lot of attention as well - length of aerobars, stack height, elbow pad placement, hydration set up, and so on. And even more experienced and competitive riders will benefit from a new fit or 'follow up' fit, as our bodies and our riding styles change over the years. The Body Geometry fit is a complete system that's scientifically tested to improve power, endurance, and comfort. Its key difference over other fit services in the market is that it takes into consideration the individual characteristics of each athlete. 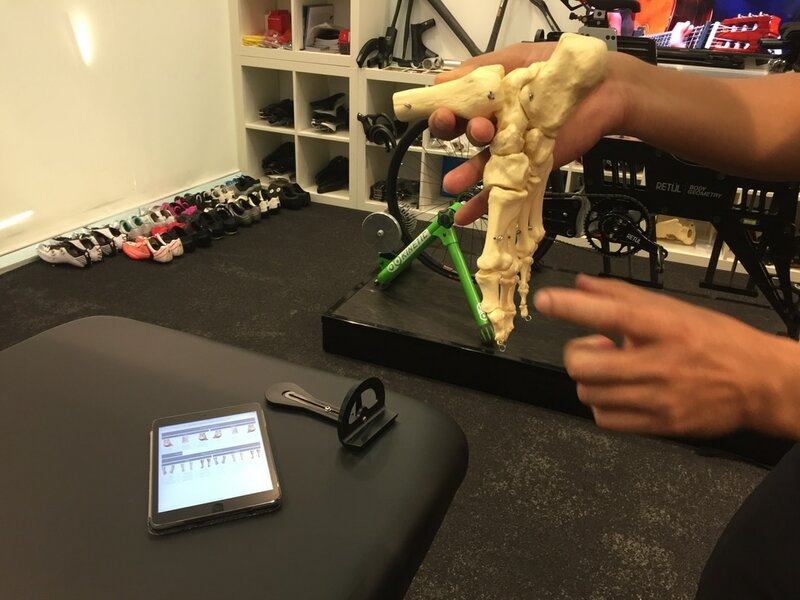 It starts off with an interview discussing the athlete's concerns, goals, past injuries, etc., and proceeds to a detailed physical assessment determining flexibility and dimensions of the body, which is critical to the customization of the athlete's bike position and equipment. Ride analysis, the actual fitting process, and a follow-up with the fitter, complete the 5-steps of the Body Geometry fit. 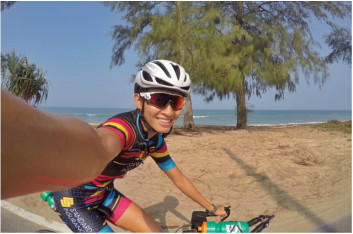 Here's a little Q&A with VJ Varada, fit instructor at SBCU (Specialized Bicycle Components University), to answer all your questions about the fit process and why you should definitely get one. He also did my fit recently, and I'll be sharing my experience below. The BG Fit Studio at Specialized Singapore - 7 Bukit Pasoh Rd. VJ going over the pre-fit assessment with me, taking measurements of my flexibility and dimensions. M: Why should any rider get a bike fit? VJ: Our bodies, whether in state of training or adopting a sedentary lifestyle, are always adapting. We are all unique – biomechanically as humans we aren’t made for riding. The bike fit maximizes the efficiency in the marriage of bike and rider. The goal is to have the bike adapt to our unique body structure, not vice versa. M: More experienced/competitive riders are often hesitant to go for new bike fits. How can a new bike fit work for them? VJ: High level athletes have a stronger capacity mentally, and at times they turn away from changing their positions simply because they are well synced with their power output on the bike. However, a lot of high level athletes that we work with today have started to see the light in fits, as fits continue to maximize their efficiency when their bodies go through a lot more throughout their sporting career. 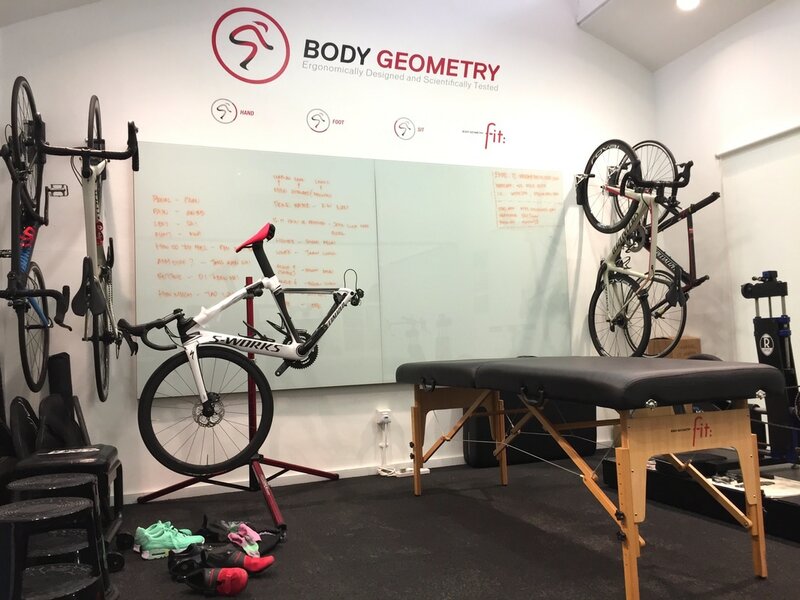 M: What are the advantages of Body Geometry Fit over other fit services in the market? VJ: Our methodology takes into account a rider’s bodily structure. Our step-by-step process is structured, analytical, and serves as a checklist for the key contact points. Also, we take into account the frontal view (where little or no methodologies adopt) of maximizing the pedal stroke efficiency. 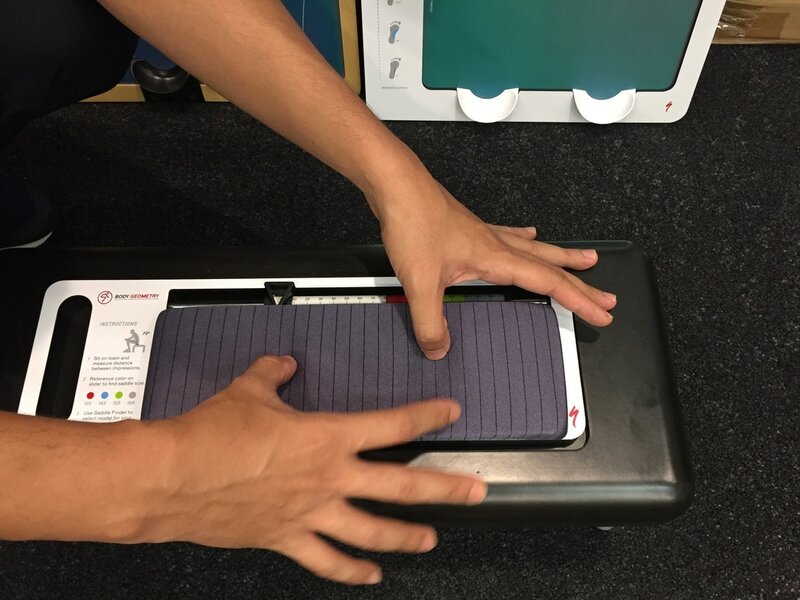 ​And with Retul tools, our fit specialists become more efficient, and provide a higher level of accuracy. This technology helps us to see live data capture while the rider is pedaling. And visually for the rider, it creates an interaction as they learn about their potential on the bike. My ischial tuberosity width - 105mm, which puts me in the medium range. 130 Wide. It's been a fun first quarter of 2017 for me, going from Phuket - Bangsaen - Singapore - Putrajaya, and finally back home to Subic Bay. 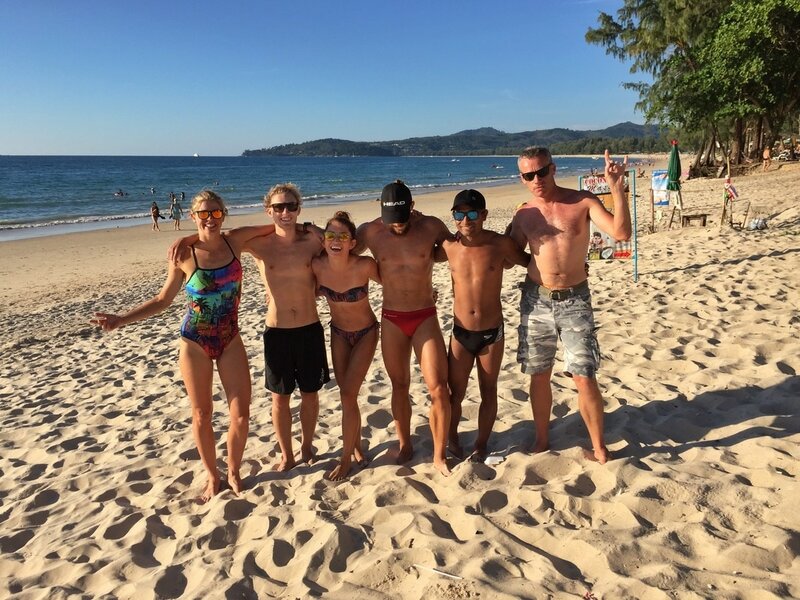 I love training and racing in the heat, so I always choose to travel around Southeast Asia for triathlon. 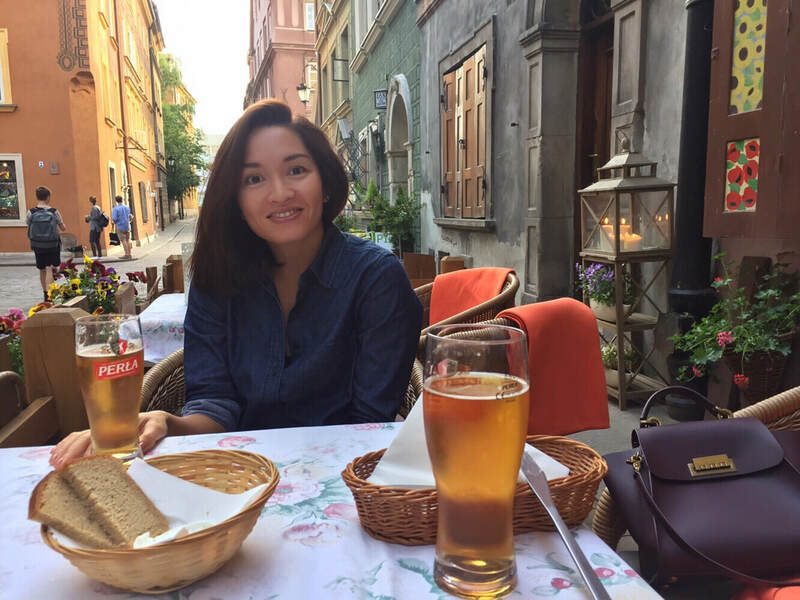 Apart from the convenience of travel and the relatively cheap airfare, I enjoy the warm climates, beautiful beaches, friendly people, the different but 'same same' food - tropical fruits, sticky rice, noodles, and delicious stir-fried-everything, that can be found all across the region. 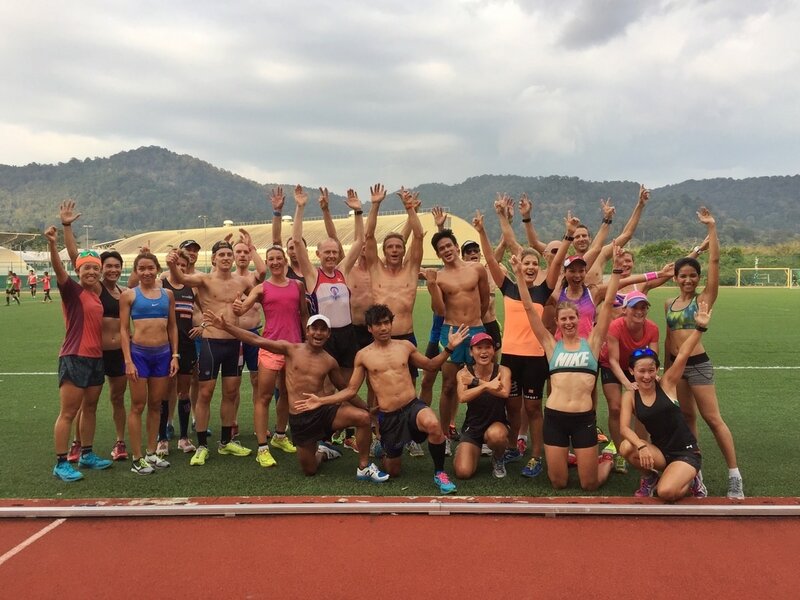 For all of you interested in training in Southeast Asia, here's a quickie guide to my home court, plus a few tips and tricks to getting the most out of racing Thailand Tri-League, Powerman Malaysia, and Ironman 70.3 Subic Bay. My soon-to-be husband Artur (we are getting married on the 25th of March!!!) lives in Singapore, so I am often in and out of there between races. It's a small but beautiful, modern, and diverse city, and is a frequent layover spot for athletes coming in/out from Europe or Australia. Training facilities: Swimming is easy enough in this country, as Singapore has the most number of pools per sqm of land in the world. Most hotels have lap pools, and it is not uncommon for condos to have 50-m pools. Public pools are cheap and clean, except they do not allow the use of paddles during public hours! The only public pool that does allow paddles (and is also a must-visit sports facility) is the OCBC Aquatic Center located in the Singapore Sports Hub. There is also a rooftop pool at Changi airport terminal 1 and a gym, though I haven't tried either myself. The Sports Hub is a 35-hectare area that is home to the national stadium, an 888m covered running track, gym, tennis courts, volleyball courts, basketball courts, skateparks, sports museum, sports library, and the beautiful OCBC Aquatic Center, with the absolute best pools/locker/shower facilities I've ever seen. The Hub is also accessible via bus and MRT and is connected to the Kallang Wave Mall, which is perfect for post training eats and shopping for athletic gear. For more info on schedules and ticket prices, click here. The Bandstand at Singapore Botanic Gardens, built in the 1930s and used by military bands for performances. It's one of my favorite spots to run past. And I'm getting married there!!! :) Photo from pinterest.com. I often get lost around the Botanic Gardens, but I don't mind at all. In every run I see something new. Photo from cnn.com. Running is best done in any of the beautiful public parks, gardens, and running tracks that are free for public use. All are safe and brightly lit well into the evening and in the early morning. Just search which ones are nearest you. One of my favorites would have to be Singapore Botanic Gardens - strikingly beautiful, lush, and green in an otherwise urban area. Riding outdoors is not as easy because of traffic. Most athletes start at 5 - 5:30am on weekends. 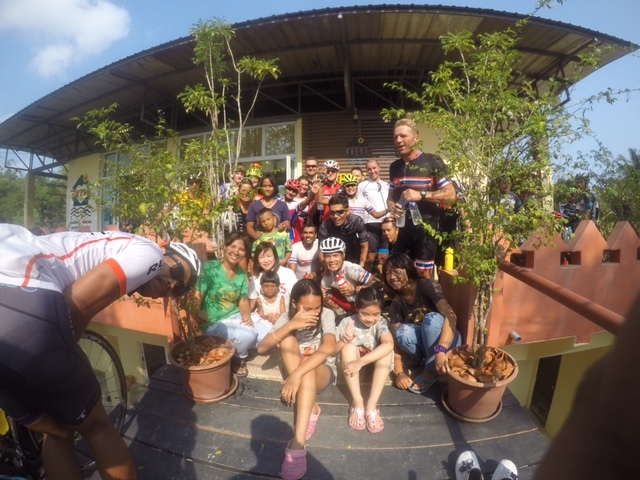 I recommend contacting and meeting up with a cycling or triathlon team, as it is safer to ride in groups. My favorite would have to be the RTI (round-the-island) route. You literally cycle around the whole of Singapore in just about 130 km. Bangtao beach - one of the many spots for open water swimming or just chilling in Phuket.